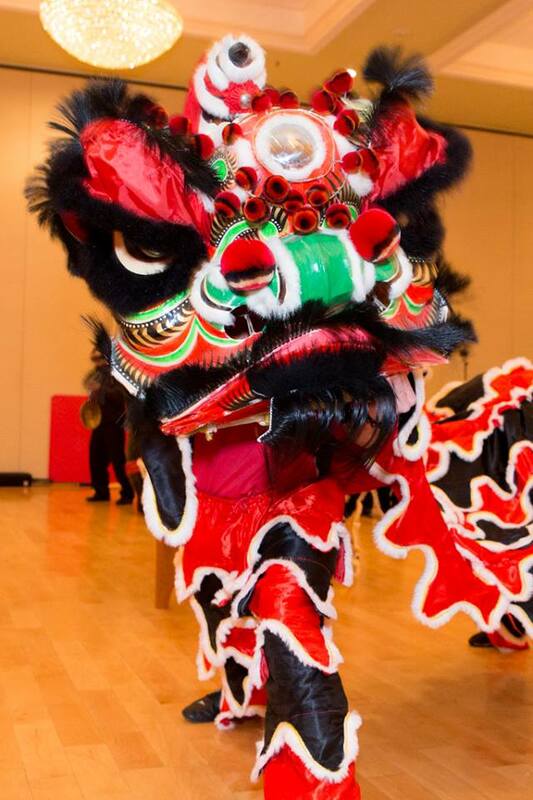 Our Lion Dance team regularly performs at both private and public parties, cultural events, schools, festivals, and celebrations such as New Years, weddings, new business openings, anniversaries, etc. 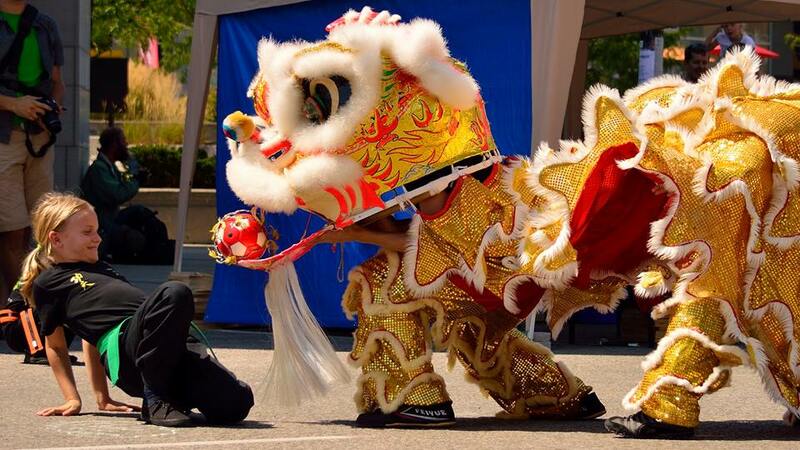 Our skilled performers practice the “Fut Shan Southern Chinese” style Lion Dance. 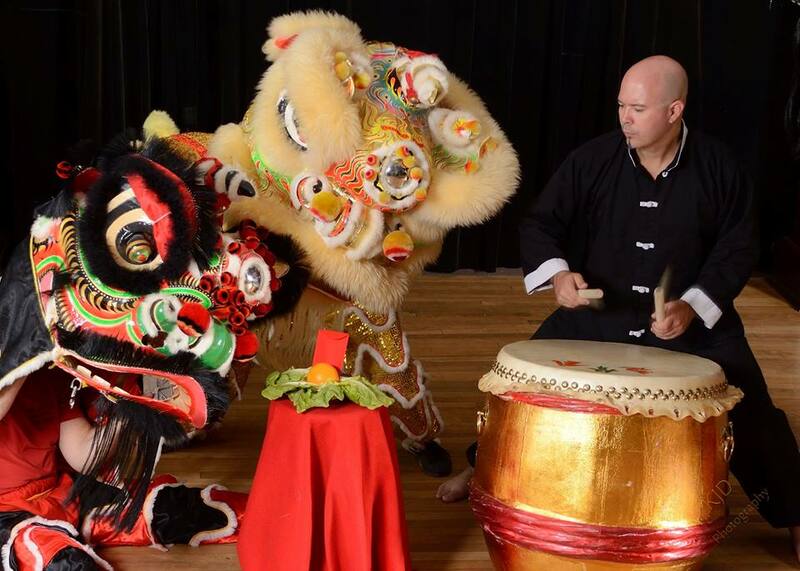 Under the leadership of Sifu Robin Young, the WKFA Lion Dance Team began practicing the lion dance in 2013. Since that time, Sifu David Moylan has continued to evolve the dance to capture the unique spirit of our Academy. Interested in Hiring our Lion Dance Team? Would you like our Lion Dance Team to perform at your event? For more information, and to book an event, please contact us today! I would like to congratulate your team on the beautiful lion dance at SJK school yesterday. Everybody was impressed! Thank you so much for the stunning performance! We are looking forward to your performance next year! A lion dance is a short, energetic, live show with dancers, costumes and music, typically performed at festivals and special celebrations, such as New Year’s Eve, birthdays and weddings. A long-standing Chinese tradition, it is intended to entertain while infusing the event with good energy and conferring good luck, prosperity, happiness, and long life upon the event’s host and their guests. A deeply rooted Chinese tradition for over one thousand years, the lion symbolizes courage, strength, and wisdom. Colourful and noisy, the lion dance uses movements based on the martial art of kung-fu to capture the attention of the crowd through the spirit of the lion. It brings presence and positive energy to the event, as well as honouring the host, to whom the lion always bows respectfully. In return, the host offers the lion a “meal” in the form of a red envelope called a laisee. Each lion dance tells a story. Common themes include the lion waking up, leaving its den, eating, meeting another lion, or crossing a bridge. The dance captures a particular emotion of the lion, such as curiosity, gaiety, ferocity, caution, or anger. Culturally, the lion dance connects the first generation Chinese community to their roots. When they see a lion dance, they see a picture of their past. When the Canadian generation sees the dance, they connect to their rich cultural heritage. Regardless of the audience’s cultural roots, the lion dance uplifts the spirit and brings a smile to every face in the room! The Lion Dance band plays music called Seven-Star Drumming, based on a 7-beat rhythm. The music brings energy to the lion. The lion plays to the drum and the drum plays to the lion. Through the drum, the drummer also communicates with the lion, for instance, signalling the lion to change their routine. In old China, all Kung-Fu Clubs had Lion Dance Teams. The Lion Dance provided the Kung-Fu students and masters with a way to connect with the community and bring a cultural aspect of the Martial Arts to the people. Although there are no specific records documenting the origins of the Lion Dance, tales have been passed down orally from generation to generation. One tale tells of a mythical monster named Nian. Every year, Nian destroyed the village’s crops until the Prince of Heaven sent down a mighty lion to scare Nian away. Since the villagers had never seen a lion, they created a creature based on several animals, called it a lion, and danced the Lion Dance yearly to keep Nian and all monsters at bay, thereby protecting their crops from that time on. Today, I was very impressed with the lion dance performance at my mom-in-law’s place! It completely exceeded my expectations and, having seen them in Asia myself, those expectations were high! The lion was enthusiastic and the choreography was very well thought out. It involved the kids and the audience, which I loved. The drummer, oh my goodness, he was amazing. He led the entire group and carried the dance out splendidly. Thank you for giving me a nostalgic taste of home. We thoroughly enjoyed it and hope to see you all perform again! I just wanted to send a huge THANK YOU!!!!!!! We were so impressed with the fantastic dancing, the amazing music (percussion), and the overall ease of planning with your group. All our customers were so impressed—we will definitely be coming back to you to book again!